Tesla investors breathed a sigh of relief following Wednesday’s earnings report, in which Elon Musk not only apologized for his impolite remarks to analysts during a previous call but indicated that the company won’t need a capital raise any time soon. "I think we can be sort of essentially self-funding on a go-forward basis," Musk said on the company's earnings call. Musk and his chief financial officer Deepak Ahuja said the company can fund its growth primarily through internally generated cash and proceeds from Chinese debt. The comments came just a week after the electric car maker asked its suppliers for cash returns, sending the price of the bonds down over concerns about the firm’s cash burn. The report on Wednesday prompted a rebound. Tesla’s stock jumped 8.5 percent in after-hours trading that day. Although Tesla posted a $717 million loss for the quarter, its earnings report showed sales of roughly $4 billion, which topped analyst estimates. The loss per share was $3.06, less than analyst expectations for a $3.30 per share loss. “We’re executing on an operating plan that keeps us sufficiently self-funded, despite our [capital expenditure] needs and our debt maturing, and still keep a very healthy balance on our balance sheet,” Ahuja added. Musk said Tesla will flip its operating cash flow from negative to positive by becoming more efficient and building more Model 3 sedans. In the second quarter, the company said it built 28,578 Model 3s. On Wednesday, Tesla said it will produce 50,000 to 55,000 of the electric sedans in the current quarter. In the wake of the earnings report, Oppenheimer analysts upgraded Tesla shares to “outperform.” The analysts told clients that the firm may finally have a solid foothold when it comes to Model 3 production. "With higher volumes and slower spending, we believe Tesla has reached a critical inflection point in its development," the Oppenheimer analysts wrote. "While we have been cautious on Model 3 ramp, we believe gross margin performance on Model 3 will carry the stock over the next 12 months or more." 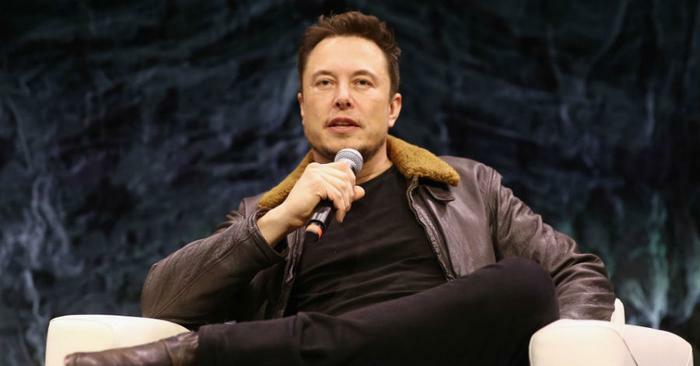 Analysts noted that the call had a lighter tone than previous calls, especially compared to the one in May in which Musk berated analysts for their "boring, bonehead questions.” KeyBanc Capital Markets called Musk’s apology during the most recent earnings call, "maybe the most valuable apology of all time." It added about $4.75 billion to the stock’s value.